Rwanda the land of a thousand hills has continued to attract a large number of international tourists mainly for gorilla safaris to Volcanoes national park and other wildlife experiences in this land of a thousand hills. Rwanda is blessed with a number of natural tourism resources that range from the gently sloping hills, natural forests, fresh lakes, rivers and a variety of wildlife species some of which cannot be found any where else in the world. 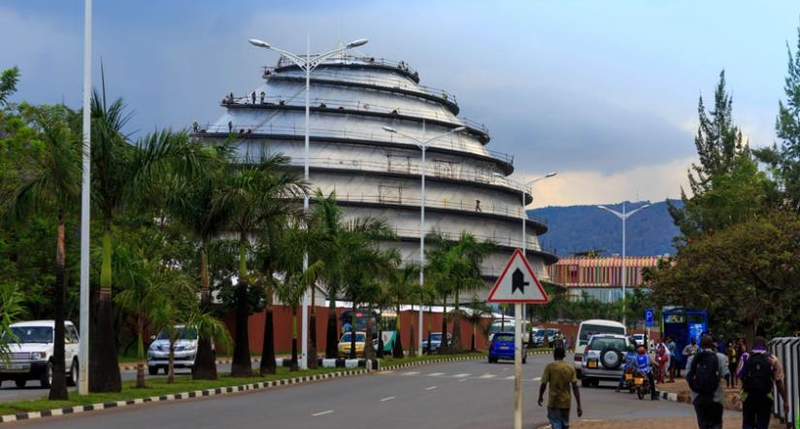 Despite the 1994, genocide that shuttered the whole land into pieces, Rwanda has made a come back and is now ranked as a top tourism destination in Africa. Thanks to the good governance and togetherness of Rwanda nationals who have worked hard to restore the once lost image of Rwanda. With a series of conservation projects, the Rwandan government has secured various tourism destinations but lets look at the Nyungwe forest national park ecosystem. Nyungwe forest national park is located south western Rwanda and its among the major outstanding tourism landmarks in the country. The national park is approximately 217 kilometers from Kigali, which can be covered in a 3 hours drive. Nyungwe forest national park is fully covered by an equatorial rain forest with some of the oldest tree species in East Africa. The forests are homes to a number of wildlife species that mainly include the chimpanzees (the prime tourist attractions), monkeys like l’hoest monkey, black and white colobus monkeys, owl faced monkeys, a number of bird species (over 300 species 27of which endemic to the Albertine region), reptiles and many others. A trek through the jungles is very easy because there are clear tourist trails through the forest and the tourists are always guided by well-qualified guides with the necessary information about the major primates and bird inhabitants of the forest. A walk through Nyungwe forest introduces tourists to magical sounds by birds; however much as chimpanzees are the prime attractions of tourists, seeing them maybe a little complicated because they usually move from one place to another over the forests jumping from trees looking for fruits and what to eat and definitely one may fail to catch up with their speed. Those who prefer to explore the forest from the top canopies are well catered for with the 50 meters high canopy walk way. This canopy walkway gives tourists opportunities to not only view the top forest layers but also Rwanda’s general beautiful landscape which greatly contribute to the tourists experience. Tourists to Nyungwe forest most times engage in birding, chimpanzee tracking, nature walks and the park officials continuously conserve the forest for more nature friendly tourist activity (ecotourism). Most tourists to Nyungwe always give their testimonies of how unique and amazing their tours were and if you are planning to go there, not the following. Forest walks and chimpanzee tracking in Nyungwe forest can be done at any time of the year however for best experiences, tourists are advised to visit in the dry seasons from around July to October. Dry seasons are preferred because there are minimal chances for rainfall and therefore make it easy for tourists to have successful hikes without any rain interruptions. During the dry season, most trails in the forest are more passable and one can take more time exploring the forest, which is usually not the case during the wet season. There are a number of accommodation facilities in Kigali and around Nyungwe forest as well. Those around Nyungwe forest national park mainly include Nyungwe forest lodge and Nyungwe top view hotel. Tourists staying around these two can be able to wake up early enough and go for tracking which is most times recommended because chimpanzees can be best tracked during the early morning hours. Other major destinations in Rwanda where tourists closely interact with wildlife include volcanoes national park located in north western Rwanda which has mountain gorillas and also a number of primates like golden monkeys and a number of birds as well. If not volcanoes national park, one can go to Akagera national park for savanna wildlife experiences with views of a number of wildlife species that include lions, elephants and Rothschild giraffes, hippos among others.